The news circle is changing as mobile journalism takes center stage, says INK journalist, Ntibinyane Ntibinyane during a two-day training workshop organized for local journalists. advancement especially with the advent of smartphones.He said while traditional journalism will not be replaced entirely by mobile journalism, smartphones are beginning to change the way stories are told in the newsrooms. 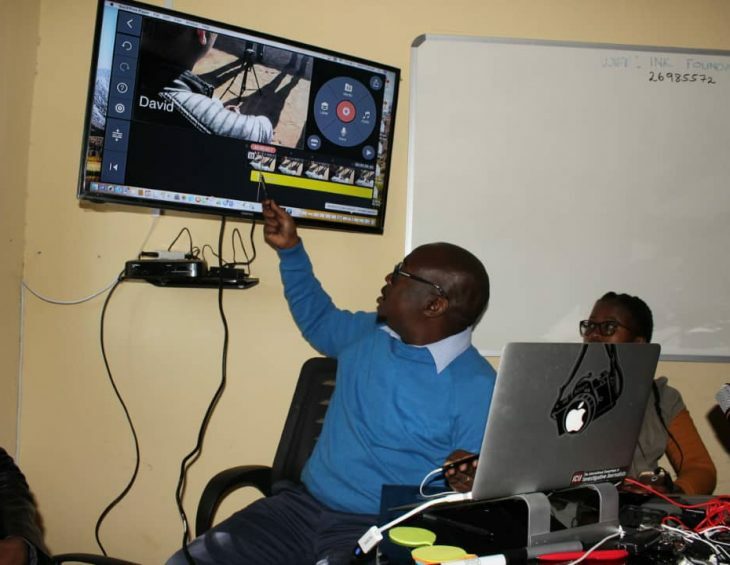 INK hosted 16 online journalists during the interactive training programme for media outlets that intends to produce a strong digital content that will expand their reach and impact. Media houses that participated includes, The Voice, The Patriot on Sunday, Botswana Television, The Argus Online, Global Post, The Business Weekly & Review,Strides Magazine,Botswana Gazette, Midweek Sun & Botswana Guardian and Yarona FM. The two-day workshop aimed to cover issues that seek to address the future of journalism, the participants were trained on basic techniques on mobile journalism as well as getting tips on finding alternative ways to search for information on the internet. Mobile Journalism as an emerging new form of storytelling and this development means viewers will have more access to information with better quality picture and sound. Another component of the training workshop was to identify the need for mobile journalism in newsrooms for its affordability, portability, discretion, and flexibility. Ntibinyane said digital technology has presented an opportunity to expand mobile journalism capabilities. INK said hosting such a high impact workshop is realization that the media needs to change the way it produces its news and embrace a paradigm shift from traditional to digital. The workshop was held on the 11 – 12 of July, 2018 at INK offices in Gaborone.